I'm trying to adjust the clutch pedal on my 2003 CLS6 and need some insight from other manual trans owners. 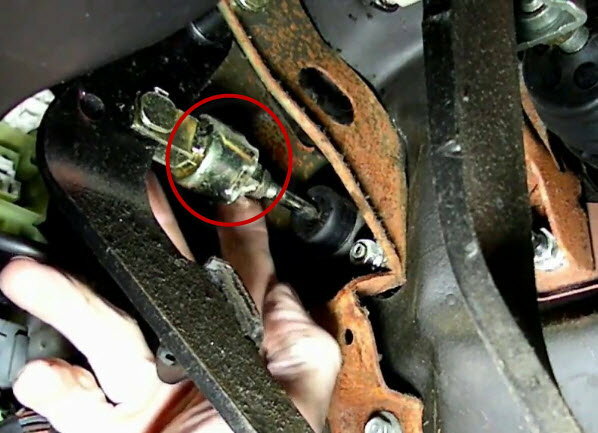 In adjusting the clutch master cylinder pushrod (in/out) to get the recommended 6" pedal height, there are two nuts on the shaft that are jammed for locking. I can only get a wrench on the outer nut and thus can't unlock them. What procedure is needed to access and loosen the nuts? (Turning one just turned both). What is the small gold-ish cylinder between the pushrod and the clevis? I'm concerned that if I turn the pushrod with the nuts jammed tight, which can be done, something inside this cylinder will be damaged. I have not done this adjustment myself, so I don't have any personal experience. With that said, I do know, very well, that it is tight quarters up there where you are working. The attachment below is the clutch pedal adjustment procedure for the CLS6, per the helms manual, so maybe it can help answer some of your questions. You may need to acquire some 'shorty' metric wrenches to get two up there to break the jam nuts. Also, while you are there be sure to check the condition of the three 'pedal stopper pads' if they are the originals. They tend to deteriorate and crumble over time. If the one for the clutch (Inhibiter) switch goes, it will leave you stranded unable to start the car. Thanks for the info. I have the manual as well. I'm looking for someone to ID the gold cylinder attached to the pushrod. I'm not exactly sure what that 'gold cylinder attached to the pushrod' does; however, I did contort myself under the dash of my CLS6, to educate myself, and I only observed ONE 12mm nut, at the gold cylinder side of the push rod, that is present. This jives with what the helms adjustment procedure indicates. Therefore, I'm not seeing the 'second' jam nut 'for locking' you are referring to in your original post? Clutch pedal rubber worn - Replace entire pedal? Trading an 03 CLS6 for an 03 CLS6? Am I crazy?